Tramp metal detectors provide a reliable means of analysing metal materials passing through your production system. This ensures hidden scrap is detected before it damages equipment like conveyor belt scales or compromises processing. A Deloitte report on streamlining costs in the mining industry shows consumers no longer accept production at any price. That makes it essential for operators in the resources sector to streamline costs and maintain effective mining practices where possible. Tramp metal detection systems are decisive in reducing wasted money and increasing productivity through quality assurance analysis. Reducing the risk of damage to costly machinery which require equipment maintenance and repairs. Maintaining operational efficiency by lowering instances of production downtime. Raising the quality of processed goods by ensuring mining materials aren't compromised by unwanted metal contaminants. 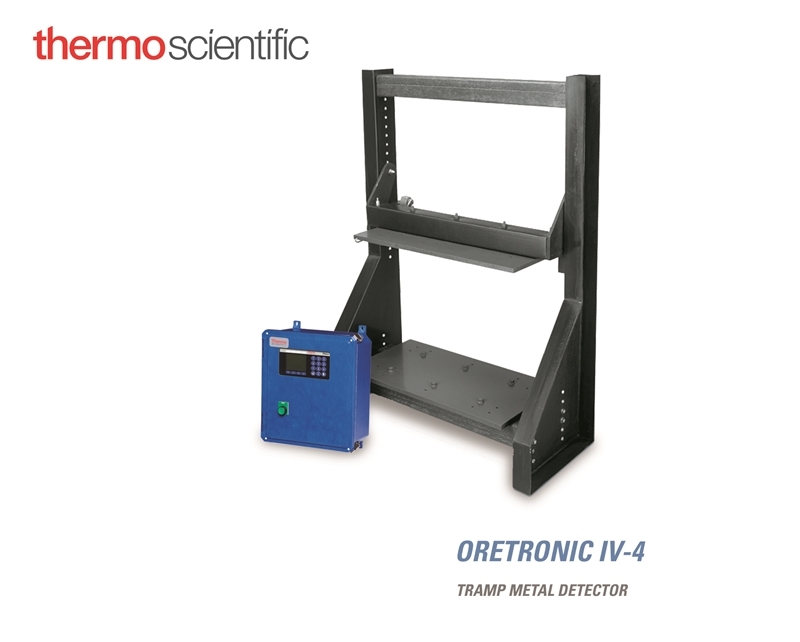 SRO Technology stocks the Thermo Scientific Ramsey Oretronic IV tramp metal detector, an advance on our existing mining and resources sector line with improved functionality. The increased sensitivity of the new equipment means it can identify tramp metal buried in wet conductive materials quickly and accurately, reducing the chance of damage to your production system. The Oretronic IV tramp metal detector includes a microprocessor control unit, a receiver coil and transmitter coil, and supporting frame. But despite the benefits of using this machinery are tramp metal detectors the most important piece of plant to streamlining processes and achieving operational efficiency? The Oretronic IV Tramp Metal Detector offers unparalleled detection ability. Belt scales automate time-consuming movements in your processing system to precise parameters of your choosing, ensuring production runs smoothly without supervision. Speed sensors are also crucial in this process, ensuring each element of your wider mining operations occurs when needed. This means a higher quality end-product, whatever that may be. Similarly, impact weighing solutions offer the functionality of a belt scale with the added ability to accurately measure dry mass solids instantly. Each of these pieces of equipment help to drive operational efficiency in your mining business. It's hard to imagine that a small rusted bolt could cause mining plant to break down – but that's what happens without metal detection. Tramp metal detectors may not be the only device needed for an effective mining operation, but no one piece of equipment is. Your system is the sum of many complex and valuable devices working together. Ensuring your mining company has the machinery needed for operational efficiency is challenging without site auditing, and selecting the fit-for-purpose plant is also difficult. That's why SRO Technology is here to help. Contact our team to get industry leading solutions for your mining operations by clicking the image below.